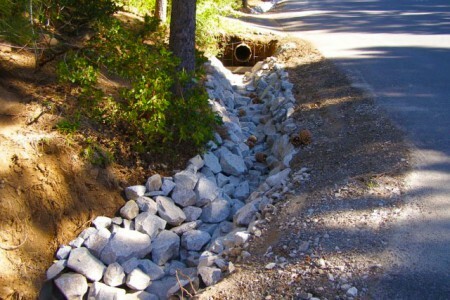 This project consisted of general erosion control facilities that included modifications of existing channels, associated revegetation, culvert replacements, storm drain construction, and grading, which also included a small basin/spreading area. This was Phase 1 of the new gymnasium facility which is to be located in the empty lot next to the Eureka County High School. The scope of work included earthwork as it was related to the site (cut, fill, compact, preparation of new retaining walls, trench and backfill), concrete retaining walls, waterproofing of retaining walls, drainage for walls and storm drainage. The project required demolition of existing asphalt paving and concrete in an open area between Canada and Nye Halls at the University of Nevada, Reno. From there, a new plaza area was developed with the installation of new landscaping, pavers, concrete walks, vehicular circulation, various site furnishings, new fencing, trash enclosures, planters, and site lighting. This project consisted of the construction of approximately 12,000 LF of 18” water main along Johnson Lane, 1.5 MG welded steel water storage tank, related appurtenances, surface improvements at the Johnson Lane Tank No. 2 site, and repainting of the existing Johnson Lane Tank No. 1. 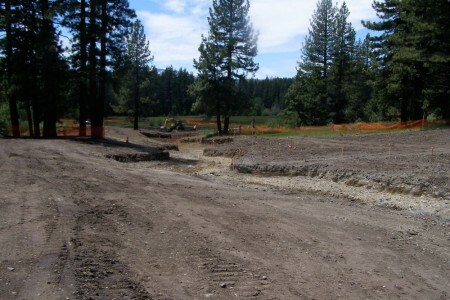 This project consisted of an environmental rehabilitation of river beds feeding Lake Tahoe in an effort to mitigate sediment erosion into the lake. 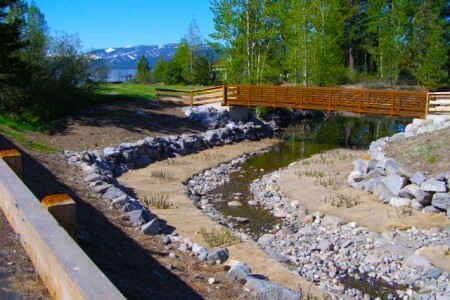 This project was part of an ongoing effort to reduce fine sediment and nutrient loading into Lake Tahoe in order to protect the lake’s legendary clarity. It combined Stream Zone and habitat restoration, engineering, and recreation design elements to enhance the Lake Forest area. It also included the enhancement of wildlife habitat and recreational features that complement the erosion control/water quality improvements.